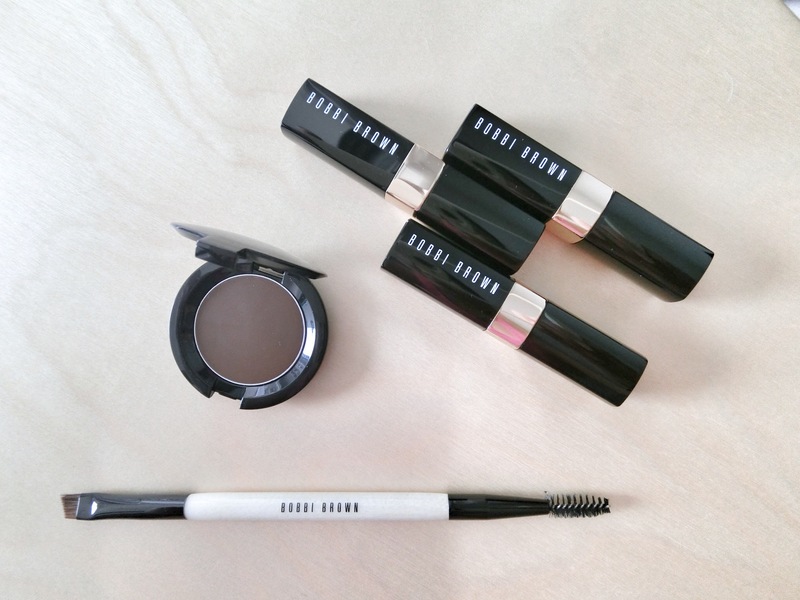 Bobbi Brown will always be one of my go-to make-up brands. Because she just knows what works for easy-breezy effortless beauty. Colours that are flattering for all skin tones, and goes harmoniously with everything else in the collection. If you are not big on make-up because you like the au naturel looks; or you are just starting to play with make-up, try Bobbi. Her products helps to complement your natural skin tone and features, so you look like yourself but better. Here are some of my picks from the latest collection. Available in 21 shades, this rich and moisturising lipstick is made with an olive oil complex, avocado, babassu, jojoba, cocoa seed butter, and vitamins C and E.
The colours are bright with a translucent and sheer quality, as well as a soft-shine finish. This creamy lipstick is a value-for-money coloured balm. My fave shades: Pink Pop, a bright pink; Citrus, an orange-pink-coral; as well as Poppy, a classic red that is not too overbearing, and easy to wear. A brow gel-wax in a pot that is made to fill in sparse areas of the brows, while defining it. This tacky formula also holds brows in place through the sweat and humidity. Best used with the Dual-Ended Brow Definer/ Groomer Brush (S$51).